Kevin Spacey ‘s older brother, Randall Fowler, 62, is speaking out about a pattern of abuse that he believes Spacey is emulating. According to TMZ, Fowler appeared on a podcast of the Drew and Mike Show in Detroit hours after Spacey appeared in a Massachusetts courthouse for arraignment in his sexual assault case. Fowler revealed that Spacey is following in the footsteps of their father, Thomas Geoffrey Fowler, whom he says molested and raped them when they were younger. Regardless of what his father did — he’s a thinking adult & responsible for his own actions & for what he subjects minors to. Incestuous creep “liked” everything his father did to him according to his brother. Very, very sick man. Kick this creep out of the public eye & showbiz & put him away. How can he possibly receive counselling for a past & present behaviour he apparently loved??? That’s the same as trying to counsel or cure a kid because he loves ice cream. No cure for this type of sickie. Sounds like the father ruined the lives of both children. Where was the mother? I hope Kevin and Thomas get the help they deserve. Child abusers ruin the lives of children – their pain never goes away. This man sounds like he was a monster. I hope he died a horrible death a long time ago and isn’t still abusing kids. Wow – what an excuse! I will be honest – I was beaten many times as a child. I’m not talking about a “spanking” either. I have NEVER physically hurt anyone – much less a child. I think that once you go through something like that – there is no excuse for why you would do that to another human being. He’s a pervert – and should have to pay for that. Rich and famous is not a “get out of jail free” card. The brother saying Kevin ‘liked’ being raped and abused shows a lack of understanding of how childhood physical and sexual abuse affects individuals differently. The mental illness that comes from systematic abuse more often than not perpetuates the cycle of abuse. That is why it’s called a cycle. He is sick, and his punishment (along with the incarceration he rightly deserves) should include intense therapy. Hoping both brothers get the help they need, and truly hope justice is served. @Terry this is not at all like an ice cream habit! You need to get help yourself! I was a victim and you have NO idea what it is like, so don’t ever say “That’s the same as trying to counsel or cure a kid because he loves ice cream. No cure for this type of sickie.”!!!! They both need the help they can get and hopefully it helps. I know it has helped some people that want the help, it’s different for those that don’t though. If this is true, then Kevin Spacey is a victim of serious sexual abuse as a child and should be treated accordingly. He requires medical help. There are many many homosexual partners out there with whom Mr. Spacey could legally engage. Leave the underage boys alone. It’s all very sad. Especially when a parent does that to their own child. Thank goodness Spacey never had any children, so the pattern doesn’t continue. Mob rule and confirmation bias are alive and well. Belief without evidence, conclusions before investigation, faith before reason. Bearing false witness is the most evil crime. And all one need do is accuse in this country. Have ANY of you dimwits even considered the source?! I do estate law. Siblings can be the most vile and cruel. What individual would go public saying such things?? Use your handful of brain cells to ask, who benefits here with such sudden declarations?? CLEARLY brother has axe to grind, is unstable, and looking to cash in on his 15minutes. There is NO sensible motive for this claptrap. If true, airing dirty laundry in such a way NOW of all time during life only hurts his brother, shames family and name. And only now would it capitalize for the obviously unstable, unsuccessful brother. I don’t care what his father did. He should pay for his own actions. PERIOD! NO EXCUSES!!! Although we 3 siblings suffered severe abuse as children by our mother, one actually was favored by her and didn’t get nearly murdered like the other 2 of us did. None of us are abusers of any kind today. But the one who was favored ripped me off of my inheritance behind my back in collusion with our dad. I lost a house and many thousands of dollars. The favored one is wealthy. Anyway, it’s painful to read words of a sibling that are accusatory and cruel. Yes, Kevin S. needs help, as does his brother, and if it’s proven true that he molested young minor males he deserves to serve serious time. An ex savagely and repeatedly raped my male child without my knowledge and the shame and pain is unquenchable (my child and myself.) I’m a Christian and I believe that justice needs to be carried out in these sorts of abuses, to protect others and to hopefully bring the perpetrator into a place of taking his abusive actions seriously…to hopefully repent and change. God help us all! Some brother eh? Gives new meaning to the word Bro. Each person has a Skelton in their closet. The question with this charge is……where is the alleged victim……as the mother is the accuser….so why has the alleged victim not come forward? 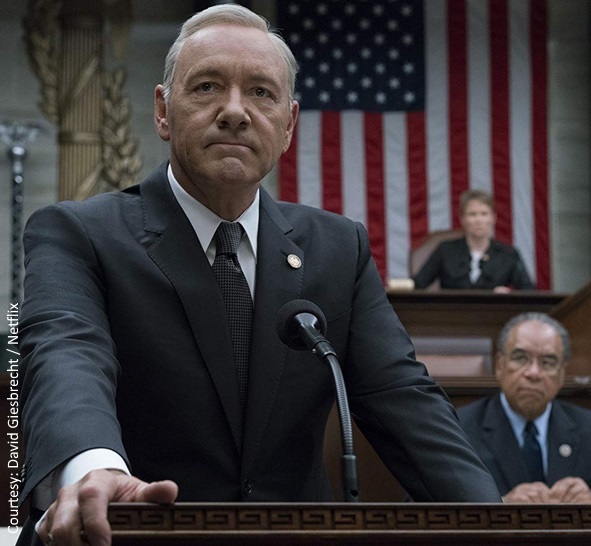 Kevin Spacey remains one of my favorite and he made House of Cards what it was……he is one of a kind!!!! His address to his fans when no one knew where is was made him was truly �Kevin Spacey style�!!!!!!!!!!! Here we are in 2019 and still so many do not understand or care to understand that each one of us are ‘individuals’. Which means, three siblings that are abused could go on to abuse (circle continues) or not. It could be two that abuse and one doesnt, vise versa, or none. The cycle is real and true. Those that day ‘No excuses’ that’s a lame term. In every walk of life there are (reasons) as to why life happened. Compassion to these understandings is obviously missing. Forgiveness too. Be thankful your brain doesn’t work as an abusers of any type. Those abused and the abuser need psychological help. As a society we need to become understanding of both for ‘life’ to be better with time. Here we are in 2019 and still so many do not understand or care to understand that each one of us are ‘individuals’. Which means, three siblings that are abused could go on to abuse (circle continues) or not. It could be two that abuse and one doesnt, vise versa, or none. The cycle is real and true. Those that say ‘No excuses’ that’s a lame term. In every walk of life there are (reasons) as to why life happened. Compassion to these understandings is obviously missing. Forgiveness too. Be thankful your brain doesn’t work as an abusers of any type. Those abused and the abuser need psychological help. As a society we need to become understanding of both for ‘life’ to be better with time.